Hello! Hello! 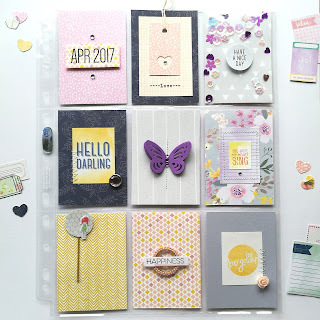 I cannot tell you how excited I am to finally share the Spring Garden Pocket Letter that I made for the lovely Lisa Hausmann, over at Recklinghausen Musings. It's arrived! 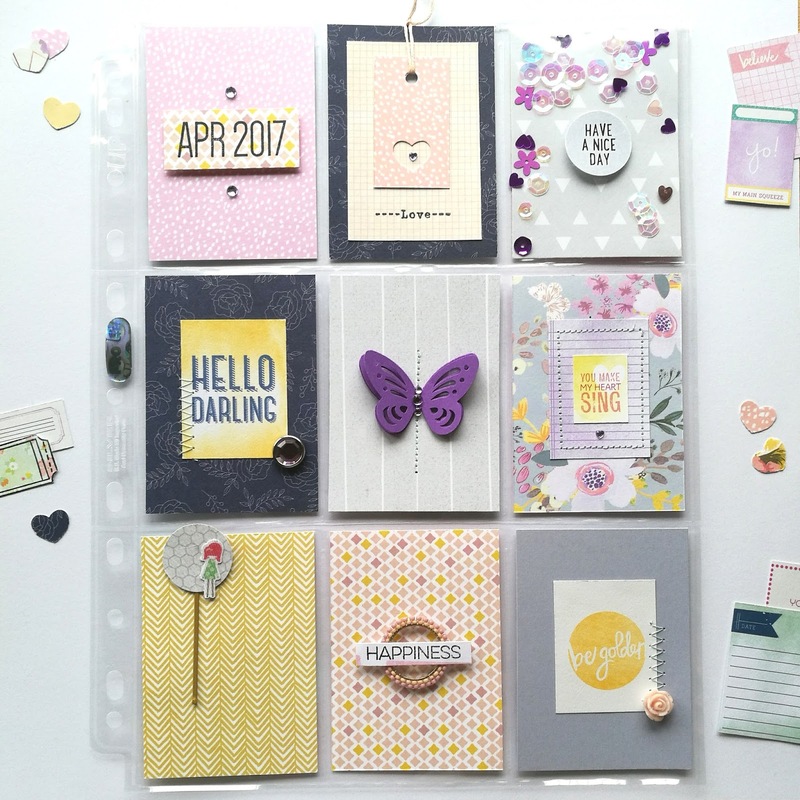 Lisa and I have been firm scrapbooking friends since we 'found' each other via the Counterfeit Kit Challenge and, recently, Lisa showed an interest in my Pocket Letters! That's the kind of friend she is - interested, supportive and kind! 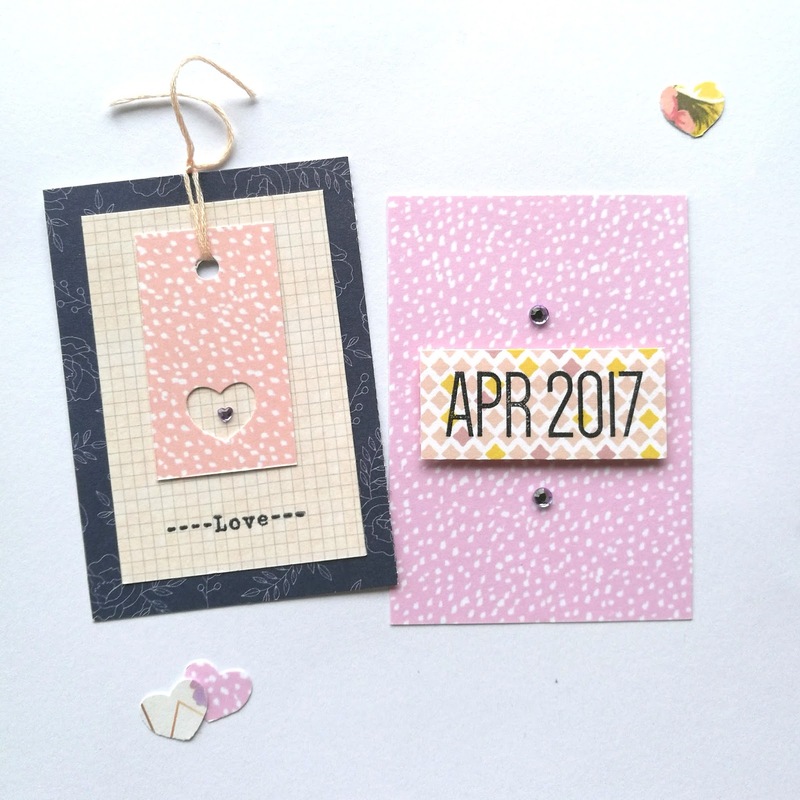 So, I made her a Pocket Letter of her very own to introduce her to the Pocket Letter community! Lisa's own style is soft, delicate and whimsical; so I decided to use the remainder of my Spring Garden Counterfeit Kit to make this Pocket Letter. Honestly, I am so thrilled with the result - and I killed a kit! Win! Want to see some details? Silly question. Of course, we want to see some details! I've been keen to add the date to each Pocket Letter that I send out, because I love the idea of that being recorded within the Pocket Letter and, of course, the Dated Stamp from Elle's Studio, is a favourite. Oh, and is the tiny, tiny heart visible on the left? It adds a little bit of sparkle when the sun hits it! 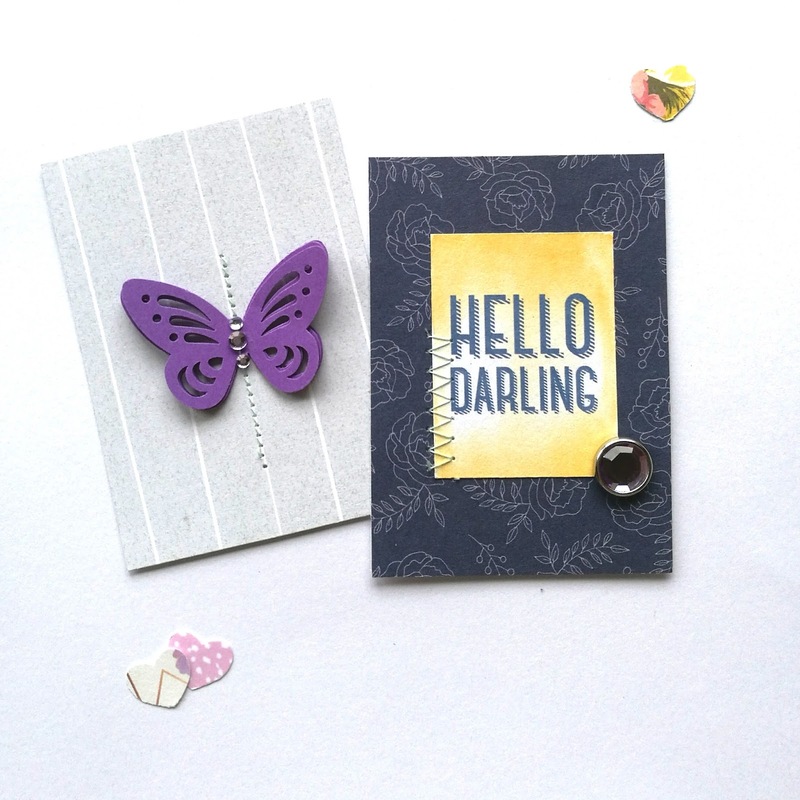 These little butterfly die-cuts are one of my favourites. I've stitched three to the card - so that there's a little bit of dimension when the card is removed from the wallet - and added some sparkle. My Spring Garden Counterfeit Kit had some cute, little die-cut elements which I've found are excellent for adding extra interest without adding too much dimension! 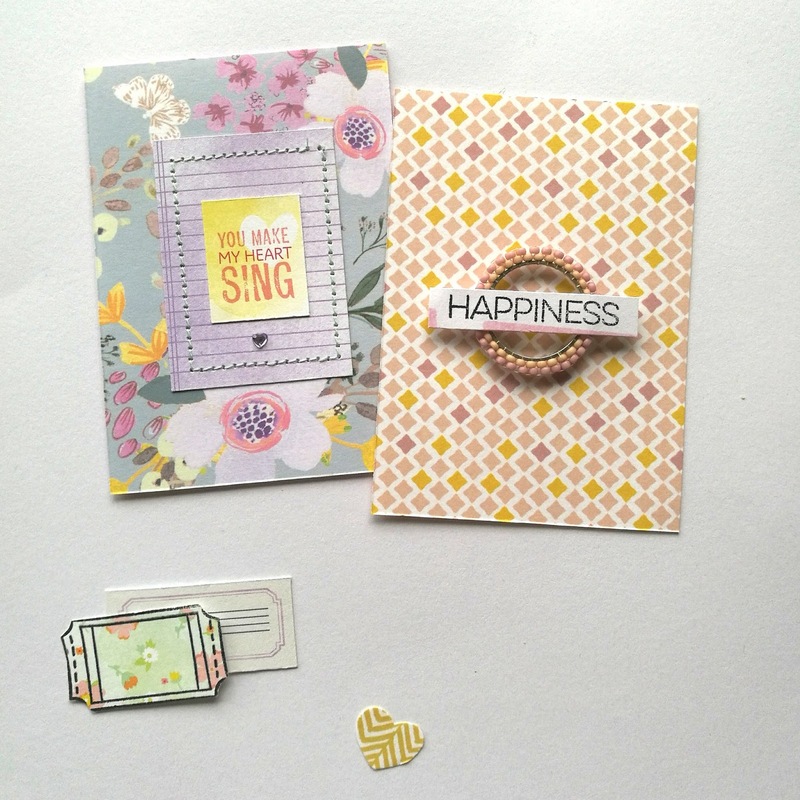 Probably my favourite cards; I love the combination of colour, florals and diecuts - with the teeny, tiny heart on the first one and the second has a small beaded embellishment, that I made with some beads in matching colours! I love that it adds something very 'me'. And lastly, could a Pocket Letter be complete without sequins? Um? Possibly. But this is so cute! 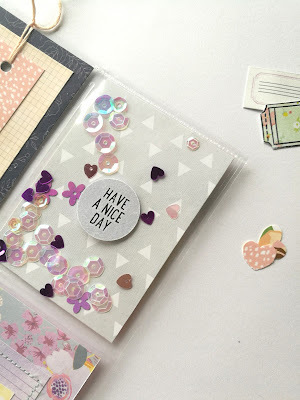 I am thrilled to say that Lisa loves her Pocket Letter, as much as I loved making it and that I've been able to share a new love with an old friend. You did an amazing job with this! Such lovely details - I'll bet that Lisa was thrilled. Thanks again sweet friend! I love it!